On Friday night, the three remaining Democratic candidates for president participated in a primetime TV event, even though it wasn't one of those proper, direct debates. And one candidate, former Maryland governor Martin O'Malley, went quickly on-the-record about the biggest environmental threat there is — O'Malley discussed climate change at Rachel Maddow's Democratic forum, and he laid out his vision of how progressives should tackle political messaging about it. O'Malley was first up in the forum dialogues, followed by Senator Bernie Sanders and former Secretary of State Hillary Clinton, and considering how little attention climate change often gets in these sorts of candidate Q&As, it was pretty refreshing how quickly it came up. Maddow asked O'Malley how he would combat climate change, considering that nixing high-pollution forms of energy like coal would invariably cost some people's jobs. This is an issue that the Republicans will definitely going to attack come the general election — they've already been casting the Keystone XL pipeline as a jobs project. O'Malley answer was rooted in optimism about emerging and near-future clean energy technologies, and in a younger generation — he said that he rarely sees "young people who think that climate change isn’t real," and urged Democrats to frame the debate around "opportunity." I think we’ve made a big mistake as a party when we talk about climate change, where because we’re the party that actually believes in science, we rush to connect the dots, but it all leads us in a straight line to hell. … we need to connect climate change to the opportunity for more jobs. 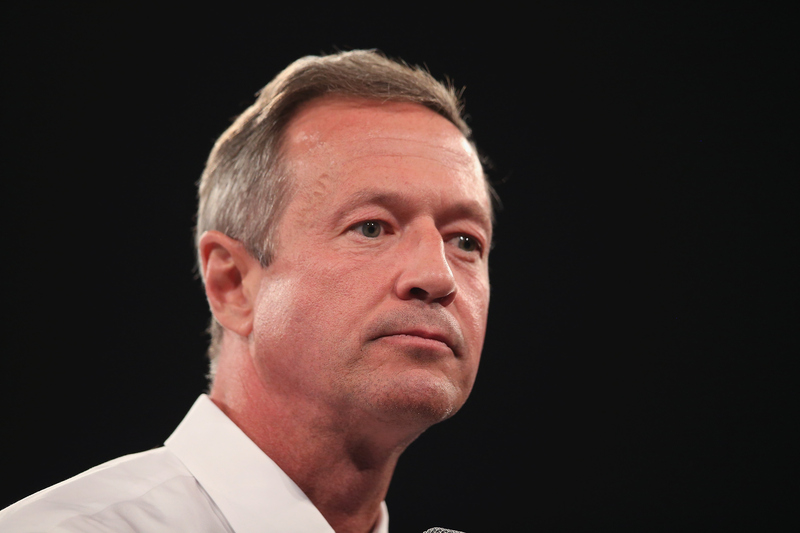 O'Malley also made it clear that he doesn't want to wait on addressing climate change, but wants to press the issue. In other words, the availability of more oil, or other such dirty energies, is no excuse to wait on pioneering newer and cleaner ones. I think it was a Middle Eastern leader who said, “We didn’t move out of the stone age because we ran out of stones.” … Climate change is a huge security threat, but it’s also a huge opportunity for us. It's no surprise that O'Malley came off as polished, confident, and authoritative on this issue — he's been pushing a high-priority climate change policy for months. One of his central long-term goals? America running on entirely clean energy by 2050, which he advocated for like this: "The difference between a dream and a goal is a deadline."